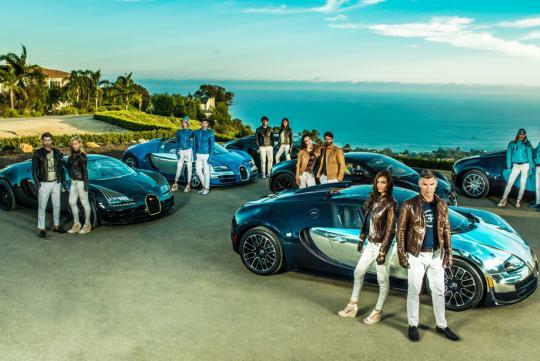 Bugatti chose the Pebble Beach Concours d'Elegance and The Quail, A Motorsports Gathering events to bring together all six of its "Legends" special edition Veyrons for the very first time. One might think that bringing six unique examples of the world's fastest supercar together would be enough at such a prestigious event, but just in case, Bugatti also launched the Legends Capsule Collection—tailored clothing inspired by each vehicle. 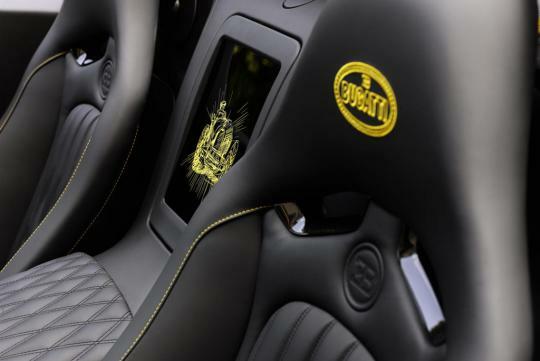 All manner of creatures have been sacrificed to produce a line of clothing Bugatti says is as exclusive as the cars themselves. Buffalo, deer, calf and cordovan leather is used, joined by precious metal elements in what the firm calls 'a harmonious union of technology and sophisticated luxury'. For each of the six "Les Légendes de Bugatti" editions, there's both a male and a female outfit, with patterns and colors inspired by those used on the cars. It starts with the "Jean-Pierre Wimille" Legend, whose bi-color buffalo hide jackets are feature tie-dyed "heritage treatment". There are also dedicated T-shirt designs—the female line is inlaid with Swarovski crystals—with belts, driving gloves and even a straw hat joining the outfit. The "Jean Bugatti" Legend has an Atlantic Type 57 silhouette printed onto the T-shirt, while the woman's T-shirt has silk kimono sleeves. 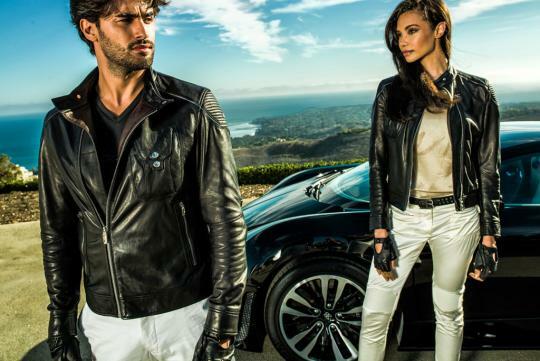 Leather jackets reappear with the "Meo Costantini" Legend set, as do straw hats, while the "Rembrandt Bugatti" Legend jackets mix cacao-colored intertwined calfskin with bronze galvanized metal parts. And a carbon-fiber style silk lining. And a dancing elephant logo. something new from Bugatti, but let's face the truth I still can't afford any of this jackets.. I wonder how many digits will be stated on the price tag just for that jacket.